A team of U of T Engineering alumni including several EngSci graduates has taken the first step to creating a new global communications network. 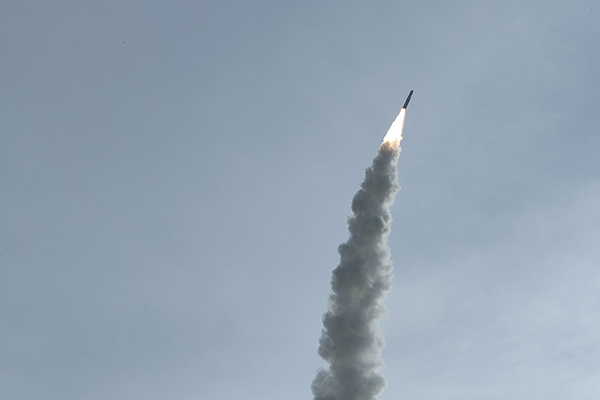 Kepler Communications, co-founded by Mina Mitry (EngSci 1T2, AeroE MASc 1T4) and Wen Cheng Chong (EngSci 1T3), launched their first breadbox-sized communications satellite into orbit on Jan. 19. It is the first of what they hope will be a constellation of dozens of similar satellites providing vast data transmission for the Internet of Things–the millions of interconnected devices here on Earth. The nanosatellites developed by the team could soon provide real-time communication for large amounts of data in remote location. This could have applications for tracking of shipping containers, remote sensing of seismic monitors, and giving communities in isolated locations high-speed access to the web. Read about Kepler’s plans in more detail here. Read a Q&A with Kepler co-founder Mina Mitry.